We know selling or buying a home is a big decision. The Preferred Advisor Team is here to make sure your experience in the process is as simple and stress-free as possible. The keys to making this happen are communication and marketing. We stay in communication throughout every step of the process–reports, feedback and in-depth knowledge on how to get your home sold. 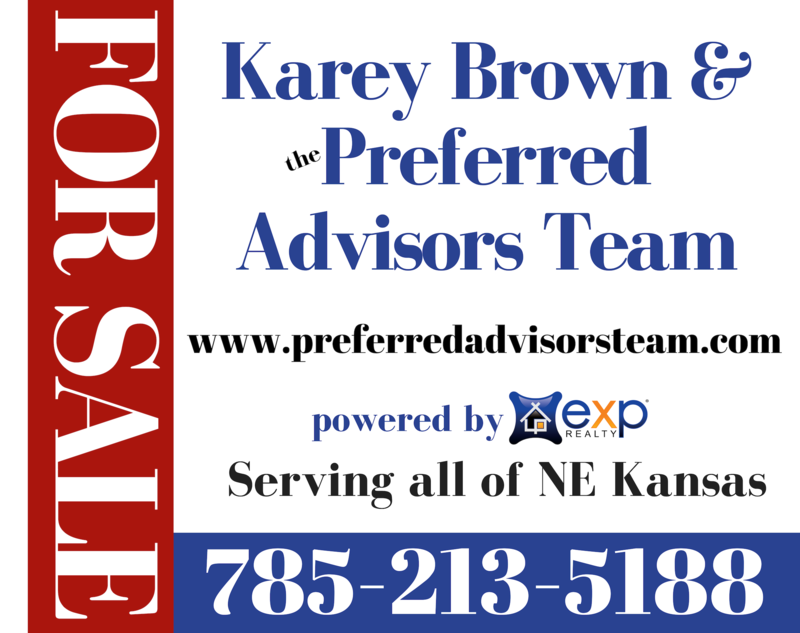 We have accumulated exclusive resources beyond our 4 major MLS areas in NE Kansas so that your property can really come to light. Potential buyers in the area are going to see your listing–your bases are covered! If you are looking to buy a home, we search all avenues to find you the home you’re looking for in your price range. We make sure you are on the path you need for the best results. We have tools to help you understand what to expect and when to expect it. We are endorsed by Dave Ramsey, Barbara Corcoran and love our local endorsement from Jim Daniels. We recently obtained the Senior Residential Specialist certification. This extra training will help us assist members of the community that are needing to sell their home and transition to a retirement community. Let us help make the process much smoother and less stressful!